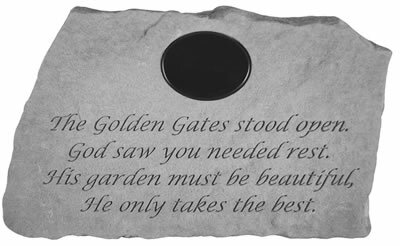 Memorial Stone, Personalized - The Golden Gates Stood Open..
Home > Memorials > Memorial Stones > Memorial Stone, Personalized - The Golden Gates Stood Open.. Preserve the memory of your loved one forever with this beautiful memorial memorial stone. 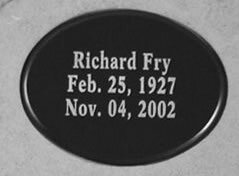 The memorial stone includes a marble plaque that can be engraved with up to three lines (21 characters per line). The Golden Gates stood open. His garden must be beautiful.